MURRELLS INLET, SC (WMBF) - The man who robbed several restaurants on the South Strand is still out on the streets. Jersey Mike's Subs is the latest business targeted in this string of robberies. The owner of the Murrells Inlet location said the robber entered a side door, alarming the employees, and forcing them into this freezer in the back of the restaurant. The robber walked away with an undisclosed amount of cash, but nobody was hurt, according to police. "They both had the gun pointed at them at one time or another," said Jersey Mike's Owner Kevin Satterfield. He said his employees were terrified by the encounter. Satterfield got the call immediately after his store was robbed. He says being on the other end of the phone is a hard feeling to describe. "You know you get that feeling in your gut and I just immediately felt for the people that were here,” he said. That feeling of fear is universal across the South Strand. In the past two months, Five Guys and Lucky Panda were also hit. China Chef and China Wok were both targeted by who investigators believe is the same robber, twice. An image of the burglar was captured on China Wok's surveillance cameras. His red bandana is what the victims from each restaurant have described to police. Investigators describe the suspect as a white, slim male, about 5'7" to 5'9." Local restaurants want this man behind bars and are looking forward to when restaurants in Murrells Inlet can go back to business as normal. Neighboring businesses offer out tips because anyone can become a victim. For Jersey Mike's, it's business as usual, keeping a close eye on the entire community. Satterfield said he and employees are "doing the things that you normally do, just use a team approach right now, and just watch eachother's backs." Police were at Jersey Mike's Thursday morning collecting surveillance video. 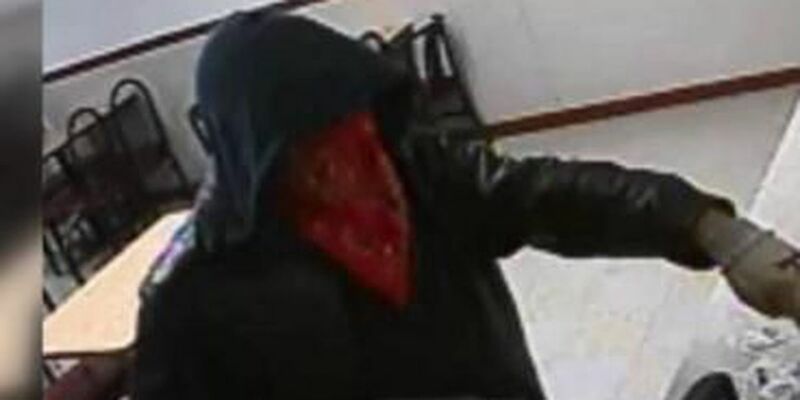 If you have any information about the suspect or may have witnessed one of these robberies you're urged to call the Georgetown County Sheriff's Office.